Diversification is a necessary but over-referenced word when talking about publishing. Companies must diversify content, platforms and business structures to gain back even a fraction of the advertising dollars they’ve lost in recent years. Now, Forbes is looking to diversity how content is released from its proprietary CMS called Bertie. First up: a partnership with journalism blockchain network Civil. Reported by Axios, Forbes is teaming up with Civil to distribute a portion of its content to the Civil network. That same content will also continue to be published on the business publisher’s site. This is the first in what Forbes is calling its use of “smart contracts” that will allow contributors to publish to the company’s CMS before sending that same content to Medium or LinkedIn. Forbes’ contract with Civil is its first experiment in this direction and also its first dip in the blockchain pool. Eventually, Forbes hopes to publish all of its content to the Civil network. But these early steps signal the company’s interest in investing in the technology and gaining early footing in what the company believes is an inevitable future for journalism. Civil, for its part, has hit a few bumps launching its cryptocurrency token program. Late last month, due to a lack of sales, the company allowed would-be buyers to purchase tokens with cash, rather than go through the many complicated steps required to initially acquire the tokens. At that time, 87% of the net purchased tokens had been bought by a single, anonymous buyer. Token sales extend until October 15, and the company is expected to release a transparency report today showing who has purchased the currency to date. 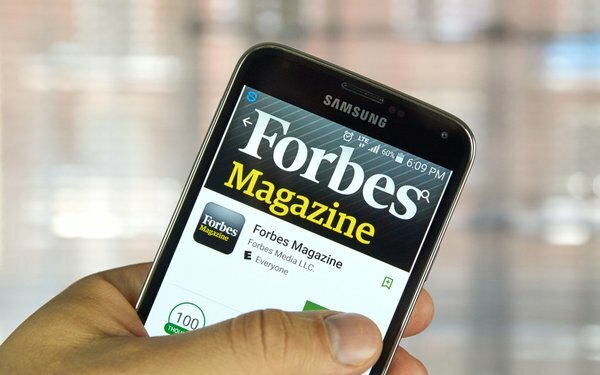 Forbes is the first major publisher to sign on with the network, which currently hosts 18 newsrooms including Popula and The Colorado Sun. By inking a partnership with a trusted outlet like Forbes, Civil could see a bump in its image across media, offering validation to what is still a great experiment.